Matt Mullenweg has shaved off his beard. That is all. Elegant Themes founder Nick Roach has announced the winners of the theme shop’s 2014 Customer Showcase Contest (and the themes are quite impressive). “The first WordCamp I helped organize, I found myself having a heated discussion about internet security with a unionized college employee at 9pm on the Friday night before the event, simply because he refused to increase the number of incorrect logins. So first thing Saturday morning, myself and another organizer did the connections for each attendee…” WordPress teacher Al Davis in Confessions of a (Former) WordCamp Organizer. While we’re on the topic of WordCamps, Crowd Favorite’s Chris Lema offers more advice on working the WordPress speaker circuit. The folks at Elegant Themes have picked out their favorite iOS apps for WordPress users. iThemes’ Sync is getting a client dashboard. Here’s a sneak peak. On the Kinsta blog, writer Anita Dunai reviews WordPress Leads, a free customer relationship management plugin. Subscriptio is a paid WooCommerce subscriptions extension that allows you to sell products like magazine subscriptions, eLearning packages and membership that require recurring payments. WP Squared checks out help desk plugins for supporting your product or service. And 30 WordPress themes for agriculture?! 3 common WordPress FTP upload errors and how to fix them (WPMU DEV). How to set up email notifications in WordPress (WPMU DEV). If the WordPress upload limit is giving you trouble, here’s how to fix it (Elegant Themes). How to allow user registration on your WordPress site (WPMU DEV). How to remove unused images from WordPress (Kevin Muldoon). How to generate sustained traffic to your online store without SEO(WooThemes). Add scripts and styles to WordPress the correct way with Daniel Pataki’s awesome guide on the WPMU DEV Blog. On the Tuts+ blog, how to add the CSS for a color scheme in the theme customizer. If you had to pick a stack of technologies for building commercial WordPress themes, which technologies would you choose? Developer Tom McFarlin asks,what’s a WordPress theme development stack? Over at codeinwp, writer Tom Ewer looks at what most web developers have wrong about WordPress theme hierarchy. “I checked and re-checked the data; but there were no mistakes. Having read countless books and blog posts, I’d heard about the paradigm from other startup case-studies. This was the first time I was seeing it in person. A unicorn!” How do you achieve 1000% conversion? Ghost creator John O’Nolan reckons he’s figured out how to make people fall in love with his blogging platform. The Internet Archive has added a collection of 900 video games, like Pac Man and Astro Invader, from the 1970s to 1990s that can be played in your web browser — no coins required. All the best for a happy and productive Monday. There have been a bunch of updates to popular WordPress products: Jetpack 3.2 introduces centralized posting from WordPress.com, Akismet 3.0.3 fixes a bug that could have prevented old spam comments from being deleted, and WordPress for Android 3.3 includes improvements to WordPress.com’s built-in Reader. The folks at Web Designer Depot have rounded up their favorite plugins for this month, including Suppamenu (it integrates with the default WordPress menu system to provide customization options), and ElasticPress (replaces the default WordPress search function by integrating with a third-party API). WP Mayor has teamed up with Easy Development to give away three developer licenses of Visual Developer – WordPress Custom CSS worth $25 each. “One of the challenges that comes with creating niche WordPress themes is how to manage certain aspects of WordPress that are typical for standard publishing themes but aren’t necessarily required for niche WordPress themes.” Developer Tom McFarlin in A False Dilemma in Niche WordPress Themes. Prolific blogger Chris Lema is passing on his gift of the gab to the masses in his online video course Sticky Teaching, based on his popular slideshare presentation about public speaking. How do you land your first clients so you don’t have to code for food? Nick Schäferhoff offers some advice at Torque. WP Kube reviews some popular plugins for creating landing pages that convert. And WP Mayor reviews caching plugin WP Rocket. How to Improve WordPress Search with Swiftype Search (WP Beginner). How To Integrate An Existing Forum Into WordPress (Elegant Themes). Taking Control of the CSS/JS that WordPress Plugins Load (CSS Tricks). Adding Custom Widgets to the WordPress Admin Dashboard (WPMU DEV). 50 Filters of WordPress: An Introduction to Filters (Tuts+). Styling And Animating SVGs With CSS (Smashing Magazine). Improving WordPress Shortcode Usability (Paul Underwood). Loading parent styles for child themes (Justin Tadlock). Learning More About WordPress Excerpts (Envato Market Blog). Automattic’s Toni Schneider talks to Swiss Sunday newspaper SonntagsZeitung about why he chose Silicon Valley over the beaches of Santa Barbara (the article is in German). Comedian Ian Martin makes sense of Nicki Minaj’s Anaconda. Here’s one of all the typography nerds: Roundhand Lettering Demo by Glen Weisgerber. And this is how you’re supposed to confirm your email address on forms. All the best for a pleasant Tuesday. The 2014 WPShout Hosting Review results are in, and the winner is… Bluehost! Nah, just kidding. In all seriousness, the survey found that: “Hosts with a ‘boutique’ feel are often much better-positioned to deliver value in things like speed, technical precision, and customer service,” and you’ve got to “Be willing to spend a bit more to get out of the pricing doldrums.” Check out WPShout for the full results and individual web host results. The third annual WordSesh has been announced for December 20 at UTC+0. It’s like a WordCamp, except online, which means you can watch it in bed while eating chips. In other news, Automatic is a distributed company, in case you didn’t know already (there must be an article about it every other week!). Torque talks to Lori McLeese, the HR manager at Automattic. “ With over 90 full time employees, 10up has a diverse team of strategists, project managers, designers, and a few dozen incredibly smart, diverse engineers. Standardization in engineering is increasingly important with such a large team.” Design and development agency 10up has open sourced its engineering best practice as a public project on GitHub. The upcoming WordPress 4.1 release will introduce theme support for the title tag, as WP Tavern’s Sarah Gooding explains. The distraction-free writing mode in WordPress is set to be improved in WordPress 4.1, though developer Janneke Van Dorpe could do with some feedback from folks who support it. “Customers pay for value. If a widget costs you $1.00 but you can get $5.00 for it, all things being equal and it’s not necessary to sustain life (like say, medical care) charge $5.00. Our biggest mistake when we started discussing price is we were trying to determine what it would cost us to support our platform and each customer not what the value of our platform was to our customers. When you price based on cost, you leave money on the table. When you price based on value, everybody wins.” Online learning agency Sidekick experimented with its pricing structure and has published its results for all to see. “The continuous pattern of cyber-assault on everything from banks to bakeries, and across the board from Target to Apple, is showing that this world requires users to break the expectation of confusion and understand how Internet instigators are really coming after us.” Securi’s Joseph Herbrandson breaks down the most common online attacks facing websites today. Cats Who Code has teamed up with Designmodo to give away a copy of their Startup Theme for WordPress. Most of what you think you know about WordPress typography is wrong. Don’t believe me? 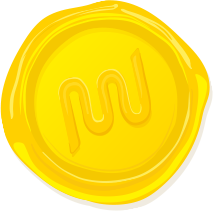 Check our Christian Nelson’s latest article on the WPMU DEV Blog and leave a comment. He loves a good chat. When people say they want an eCommerce site, they actually want an eCommerce platform, so explains Crowd Favorite’s Chris Lema in a helpful slideshow (I would haven’t preferred it in a song). Think you’ve got what it takes to build a successful WordPress company? On the Matt Report this week is WPCurve’s Dan Norris, the author of 7 Day Startup. iThemes have announced Client Dashboard in Sync Pro, a new way to control what clients see when they log in to their WordPress dashboard. WP Plugin Info Card is a new plugin that makes it easy to embed WordPress plugin info cards. Bulk Deactivate is another new plugin that offers advanced options for saving your plugin list. How do you promote the content on your site? Torque lists a few popular solutions (SumoMe, Incapsula etc). Beaver Builder has a new name (Fastline Page Builder begone) and now a review at WP Explorer. Writer Joe Fylan offers a behind the scenes peak at this drag and drop builder. And over at WP Lift there’s a round up of free food themes for restaurants, cafes and food blogs. All the best for a marvellous Thursday. Sorry for being MIA yesterday! After lots of Panadol and Butter Menthols, we’re back! Automattic has bought out UK-based development agency Code For The Peopleas part of plans to expand its VIP enterprise operations in Europe. The agency’s six-person team will join the WordPress.com VIP team. The deal comes after the WordPress giant raised $160 million in May. It’s also worth noting the deal includes the agency’s multilingual plugin Babble, and if you watched Matt Mullenweg’s State of the Word speech, you would know he’s all about expanding WordPress globally through making the open-source easily translatable. WooThemes recently hosted its first WooConf, a conference focused on WooCommerce. Torque talks to WooThemes’ Mark Forrester about the event and WooCommerce’s growth. Elegant Themes has launched version 2.2 of its popular Divi theme. The latest version comes with new video and video slider modules. This week’s episode of podcast WPWeekly features discussion on Jetpack, the WP eCommerce security scare, WordSesh and whether or not “WordPress” is a verb. Rublon is a free plugin that only lets you login to your WordPress admin from devices you authorize. WP Lift walks you through the plugin’s backend. Hongkiat has a fairly general round-up of 16 premium plugins for WordPress designers and developers. Vagrant Manager is a new tool for OS X that gives you a UI for managing all of your virtual machines in one place, no matter what kind of Vagrant configuration(s) you have running. Setting up a Node Server for a WordPress REST API-Powered Single Page Web App (Torque). How Theme Frameworks Actually Work (Tuts+). A WordPress Theme Development Process (Tom McFarlin). A new study has found 83% of web content is unfit for human consumption. Seriously, not seriously. Do you trust your own senses? Nautilus explores change blindness and inattentional blindness in a fascinating article on how your brain fools you. All the best for a wonderful Friday and a fun weekend.